Home > News > Machinery > Sheet and Plate > What Press Brake Controller Should You Choose? Your press brake is crucial to production in your company, which is why you need to ensure that it’s used to its full capability. Our press brake controllers make using press brakes easier, more efficient and more versatile than ever. 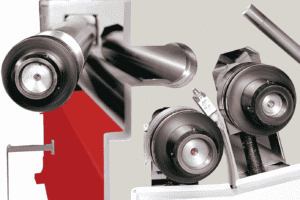 The right press rake controller depends upon your industry and your product. 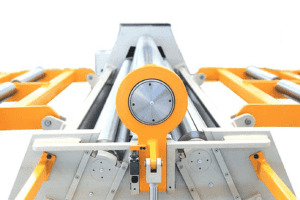 For a simple product, you’ll want a controller that isn’t too complicated to manage otherwise you run the risk of operating a machine that isn’t cost effective. 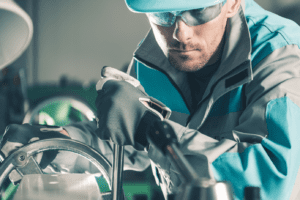 For a more complex product, then you’ll need a more advanced controller system to ensure your production is as efficient as it possibly can be. 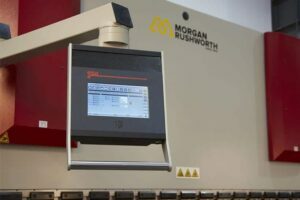 Using the very latest technologies these pressbrake controllers can provide you with efficient and streamlined operation, enhanced functionality and outstanding levels of productivity and performance. And all come with optional features for additional benefits to give you the very best performance from your pressbrake. An NC controller with CNC features, (available as CybTouch 6G and the CybTouch 6W) the CybTouch 6, with its user-friendly touch screen interface, means it can be operational in no time. Compatible with a vast range of sheet and plate metalworking machinery this controller will allow you to do a variety of angle adjustments and corrections and is suitable for general fabrication and doing one off productions. All made with a simple fingertip touch. Its memory holds up to 10 types of material and 200 programmes. The powerful ESA 630 offers an interactive 2D editor and display in a 10” user-friendly touch screen that makes controlling your press brake a breeze. It is our standard entry level touch screen controller and is suitable for simple folding of small to large scale production. It manages up to five axes in any combination including conventional mechanical and hydraulic press brakes, synchro Hydraulic press brakes, servo controlled hydraulic single cylinder press-brakes, electrically driven press brakes, tandem press-brakes and more. As standard you get one offline software license which enables you to program and optimise jobs from the office without disturbing production. If you’re looking for high precision and accuracy in more sophisticated folding programmes then this is controller for you. This 19” touch screen controller has very clear graphics and is very simple to use. The 600 can manage up to 10 axes in any combination. The ESA 660 controller can also be purchased with the optional 3D software which has the capacity to directly import and manage tools and even accepts CAD Drawings. This means that you don’t have to input them manually. The controller is favoured by our in-house engineers, dye to its ability to manage sophisticated work pieces with ease. It controls a variety of press brakes including conventional mechanical and hydraulic press brakes, synchro hydraulic press brakes, servo controlled hydraulic single cylinder press brakes, electrically driven press brakes, tandem press brakes and more. Another of our controllers that is perfect for jobs needing high precision and accuracy is the Delem 66T. This 2D Windows-based ontroller with its 17” TFT, high brightness colour LCD display with full touch-screen control makes light work of controlling your press brake. It has a memory capacity of 1 GB, and the full 3D machine set-up and 2D programming offered by this machine means you can calculate and programme bend sequences with ease. Another controller suitable for high precision and accuracy, the DA-69T is a step up from the 66T and offers both 2D and 3D programming, and full 3D machine set-up with multiple tool stations. It has a colour LCD display 17” TFT, with full touch screen control (IR-touch) and its memory capacity of 1 GB gives you maximum control with minimal set up. It is available with a variety of additional extras to make you press brake controlling even more effective for your business. The Delem 69T can be purchased with the DXF Importer which allows you to upload DXF files straight to the controller with ease. With the right press brake controller, you can produce more accurate and consistent parts, manage bend speeds, angle measurement and control as many other aspects of press brake production with total ease. This selection of easy-to-use, state-of-the-art controllers makes the programming, operation and control of your press brakes easier, more efficient and more versatile than ever, which ultimately means better productivity for your business.